Spinal cord injuries can be overwhelming for the victims and their loved ones as they deal with the aftershocks of the tragedy. In a prior article, we discussed spinal cord anatomy as well as spinal cord injury types and symptoms. Victims of spinal cord injuries experience several health issues, including potentially paralysis, breathing complications, headaches, chronic pain, bowel and urinary difficulties, inability to keep blood pressure normal, and reduced immunity to infection. In general, spinal cord injury sufferers have a shortened lifespan and require costly and specialized medical care throughout their lives. If you or a loved one have been a victim of spinal cord injury, it is important that you understand that you are not alone. Our Kansas City spinal injury law firm has represented several victims of accidents who have suffered spinal cord injuries. Our legal team is prepared to answer your legal questions and can provide you a free, confidential legal consultation today. Please feel free to contact us. We believe that educated clients make better choices regarding their case and medical recovery. To help those struggling with a spinal injury, we wanted to provide helpful information about spinal cord injuries. Our hope is that this information helps you make the best decisions possible regarding your medical and legal options. If you still have questions or would like to speak to a spinal cord injury attorney, please call our law office at (816) 203-0143 or fill out the contact form below. Our Kansas City spinal cord injury attorney would be happy to offer additional guidance for your particular case. Doctors normally evaluate spinal cord injury patients based on the region and type of spinal injuryand symptoms being experienced. If you fall, suffer a blow or lose consciousness, your spinal cord may have been injured. Headaches, loss or difficulty in mobility, tingling, and respiratory complications may also be indicators of a spinal cord injury. Clinical evaluation: In a clinical test, the doctor will make a list of all the symptoms found. The doctor may test your blood and ask you to move your limbs. The movement in the eyes may also be checked, and other tests may be completed to note the symptoms present. Imaging tests: The doctor may ask for MRI or other radiological imaging, such as a myelogram, to examine your spine, spinal cord, and brain. In contrast to other types of injury, an important part of spinal injury treatment happens before going to the hospital. The chances of survival increase greatly if one stays still, avoids spinal motion and gets quick emergency care. After being transported to the hospital, medical providers will concentrate on keeping an injury victim stable and may usea collar to keep the neck still. This can be critical to survival and to avoid further damage. In addition, breathing assistance, blood transfusions and other courses of action may be required to deal with the urgent symptoms. After the patient is stabilized and a full evaluation and assessment is completed, the doctor will work with the victim’s family to develop up a course of medical care for treating the spinal injury. Stem cell therapy, which is currently being researched to regenerate damaged tissues. One’s mental health is a major aspect of recovery from a spinal cord injury. According to the National Institute of Health, Nearly half (48.5%) of those with spinal cord injury suffered mental health problems of depression (37%), anxiety (30%), clinical-level stress (25%) or post-traumatic stress disorder (8.4%). Mental health has been shown to have a direct effect on physical health, so maintaining soundness of mind is key to one’s overall recovery. Last but not least, it is vital that the victim of a spinal cord injury has a lot of emotional support fromloved ones and caregivers. Caregivers can provide emotional and mental support and also help coordinate medical care and treatment. They can also help with other personal affairs of the injury victim. In cases where the spinal cord injury does not lead to paralysis, the chances of recovery are best. Nonetheless, victims who are paralyzed still have a chance of recovery and that probability grows as research progresses. 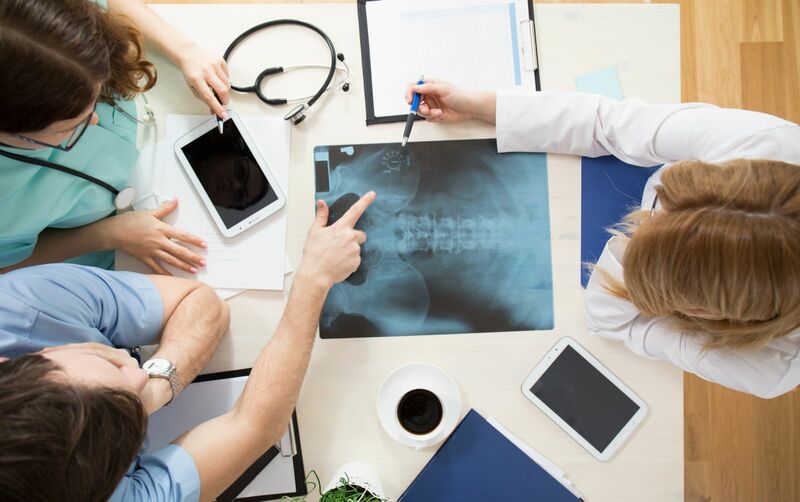 In a recent report, the National Institute of Health reported the discovery of a radical new treatment for spinal cord injury patients, and we are optimistic that more progress lies ahead in the near future. Studies focusing on methods of stimulating the activity and regeneration of injured nerve cells are in progress at the moment. Some of these include neurotransmitters, electrical stimulation, Nogo blockers, Glatiramer, potassium channel blockers, and neuroconstructive and neurogenetic solutions with stem or other cell implants. While many of these treatments are still being researched, treatments in general should be attempted as soon as possible to strengthen the muscles beneath the injured region and raise the chances of recovery. Physical and occupational therapy are very important during this period. If you or your loved one has suffered a spinal cord injury as a result of the negligence of another party in Kansas or Missouri, please contact our Kansas City spinal cord injury lawyer as soon as you can to protect your rights and maximize your legal recovery. Spinal cord injury cases are very different from other types of injury. To maximize your legal recovery, your spinal cord injury lawyer should be well-versed in the complexities of legal and medical matters, and ready to educate the insurance company of the staggering lifetime expenses of medical care, economic losses, pain and suffering associated with spinal injuries. Our Kansas City spinal injury lawyer has represented many spinal cord injury survivors in the Kansas City area and throughout Missouri and Kansas. We are ready to answer your legal questions and provide a free, no-obligation legal consultation. Please call our law office at (816) 203-0143 or fill out the contact form below. Our Kansas City spinal cord injury attorney would be happy to assist.